In the drizzly depths of winter, beneath the gathering gloom of war, Don Foster and I escaped from the belligerent badgering and raspy rhetoric to the tiny Micronesian Island of Yap. 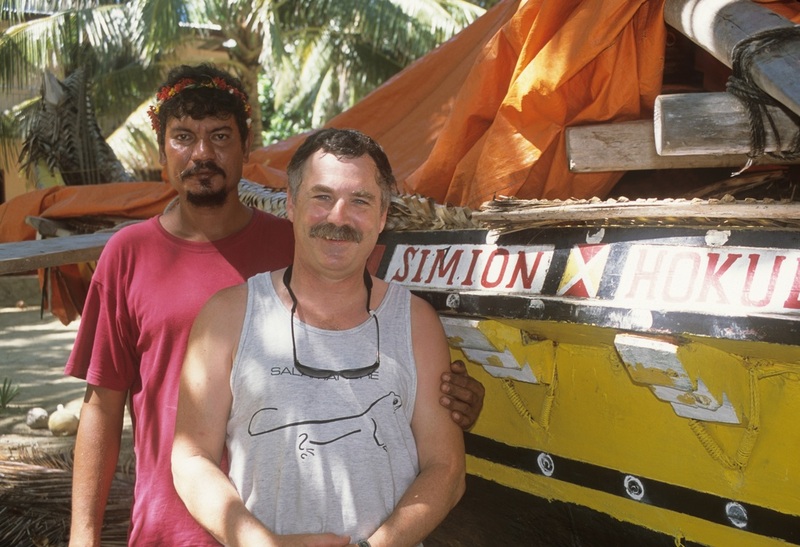 We then spent a week paddling the remote Ulithi Lagoon in our inflatable kayak. Micronesia, by virtue of liberation from brutal oppression in WWII, is one of the few remaining friendly destinations for Americans. Even considering that history, I felt curiously honored to encounter so many cheerful, bordering upon giggling, responses from new people we met. I imagined that this friendly welcome derived from my radiant cultural curiosity or perhaps from my resolute (minimally overweight) grayness contrasted with the trim yellow kayak. Maybe it was just my quaint, natural humility. As it turns out, there was quite another reason. Unlike continental Americans, the Micronesians have insufficient population diversity to generate a full lexicon of ethnic slurs. When faced with the irrepressible need to issue an insult, they resort to the animal kingdom. In Yap, lizards are considered to be innately stupid, since they aimlessly climb coconut trees and never bring anything back down. People with certain behavior traits may accordingly be called: "Lizards." I didn't learn this until rather late in the trip. For most of the time we spent on Yap, I wore my winery T shirt, emblazoned boldly across the chest with a large salamander.